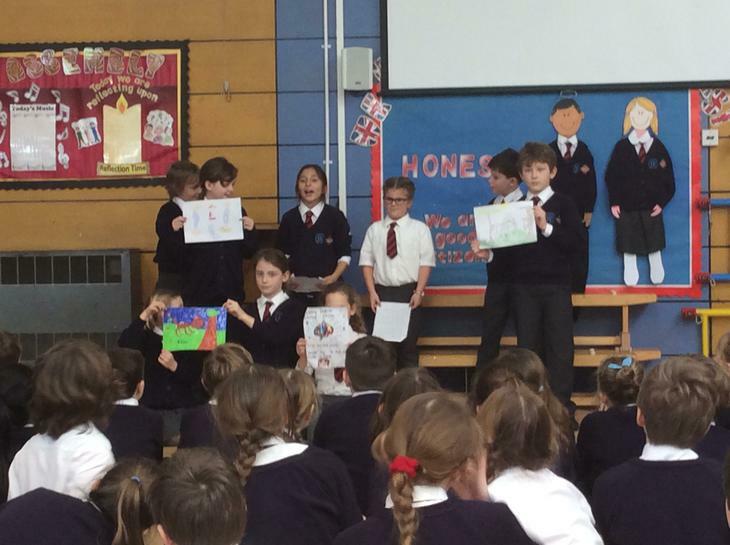 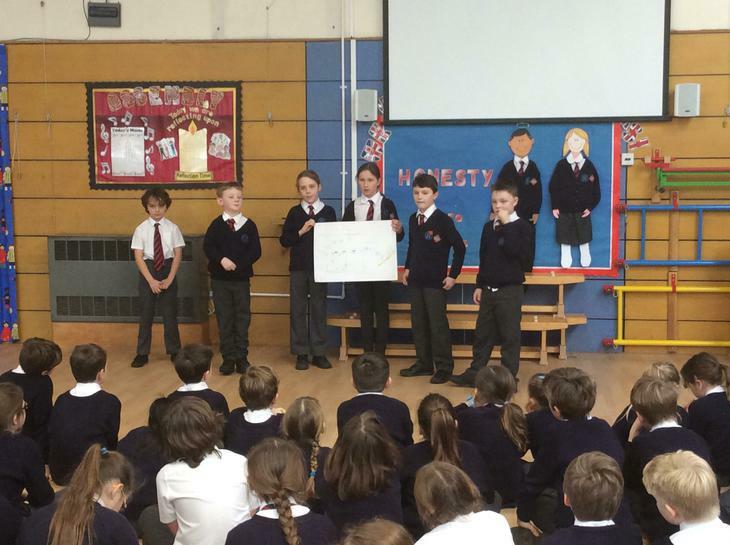 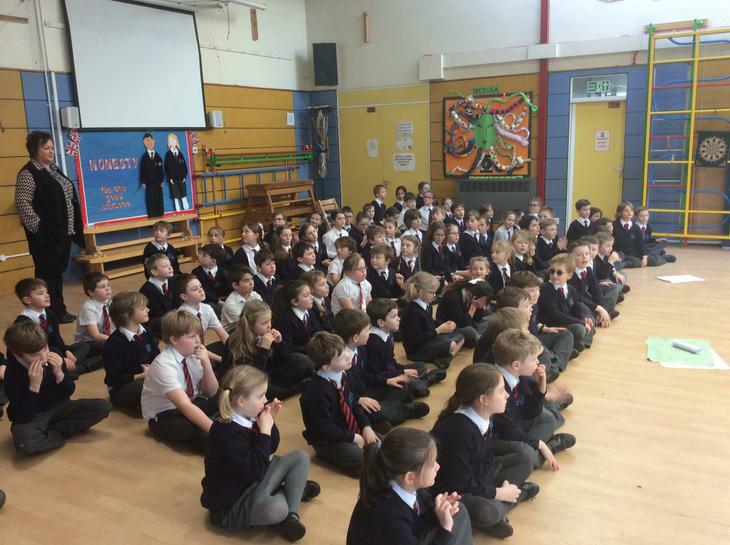 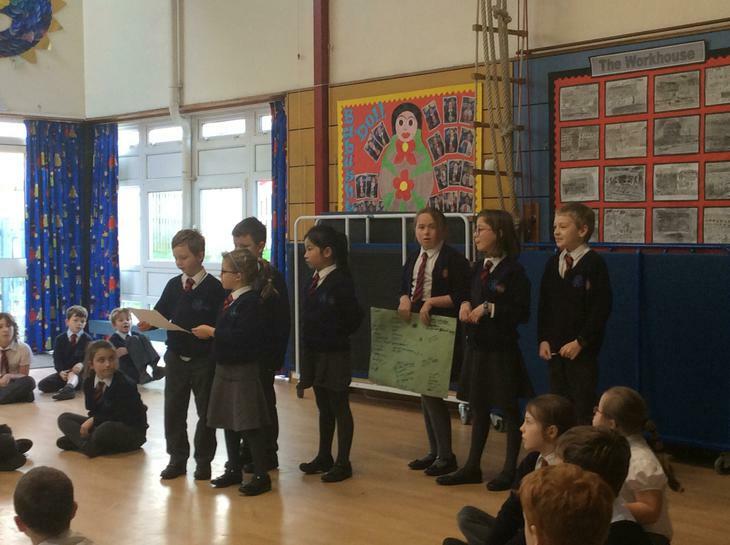 Our crews are used as a form of 'house' and also as a part of our 'Pupil Voice' system within school. 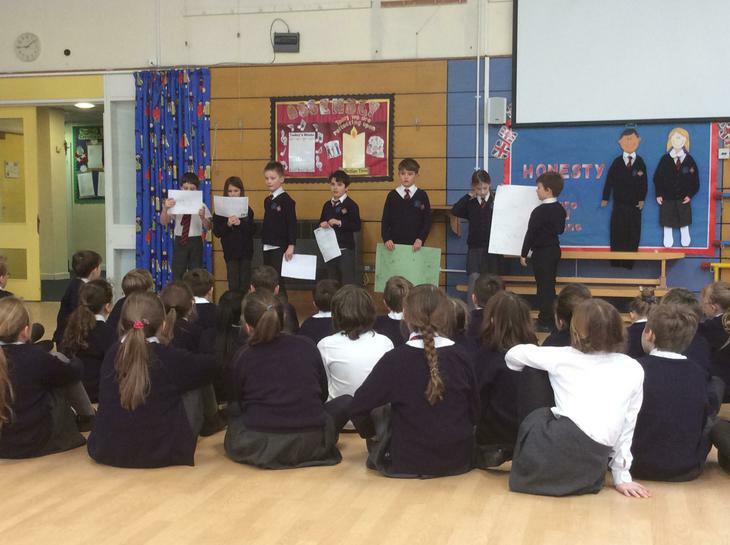 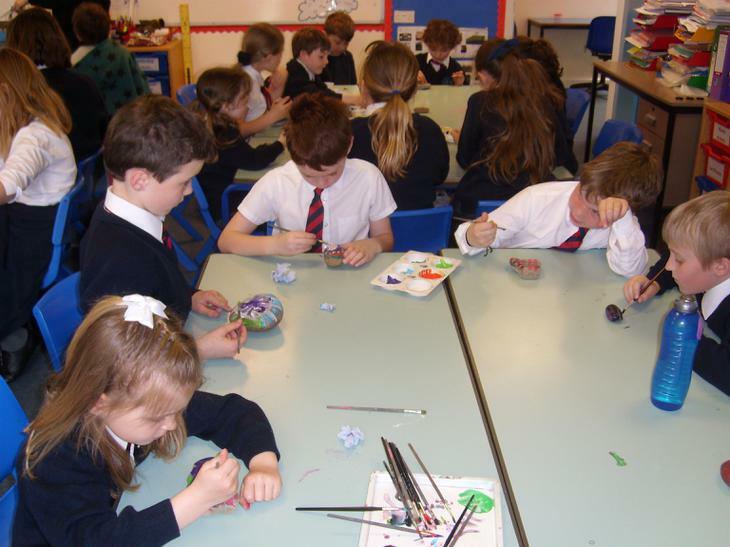 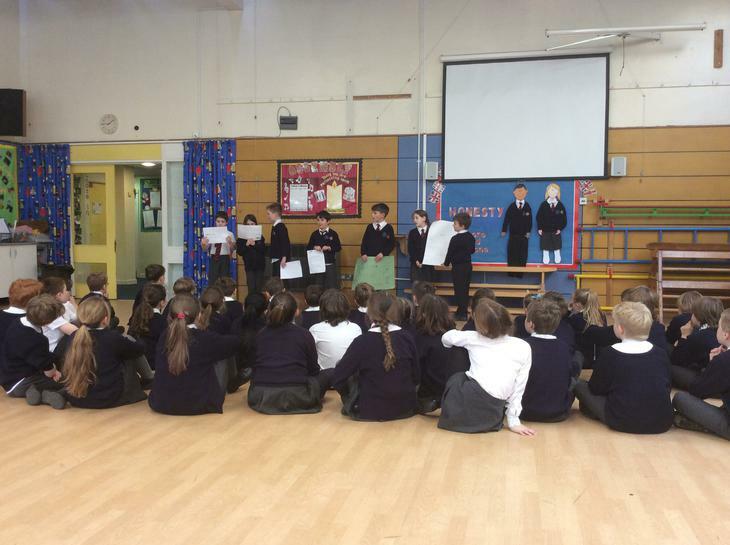 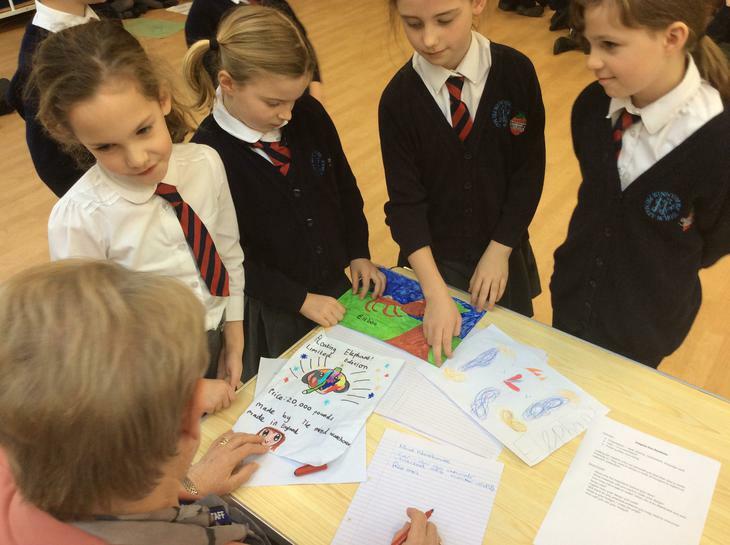 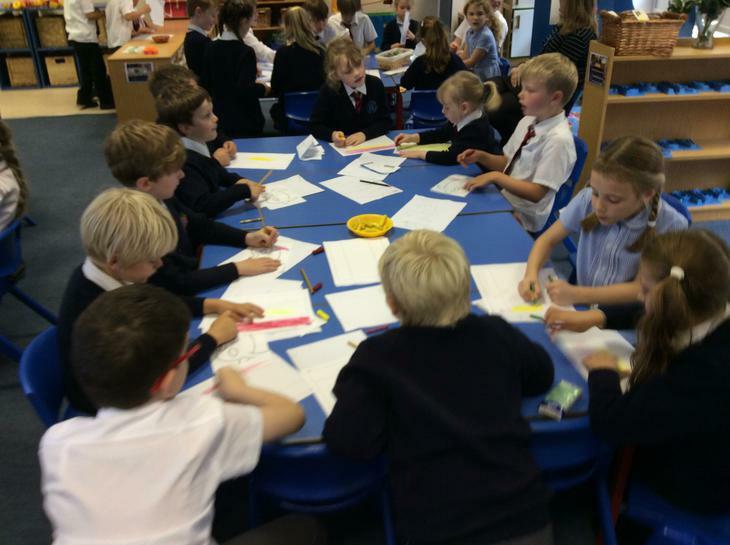 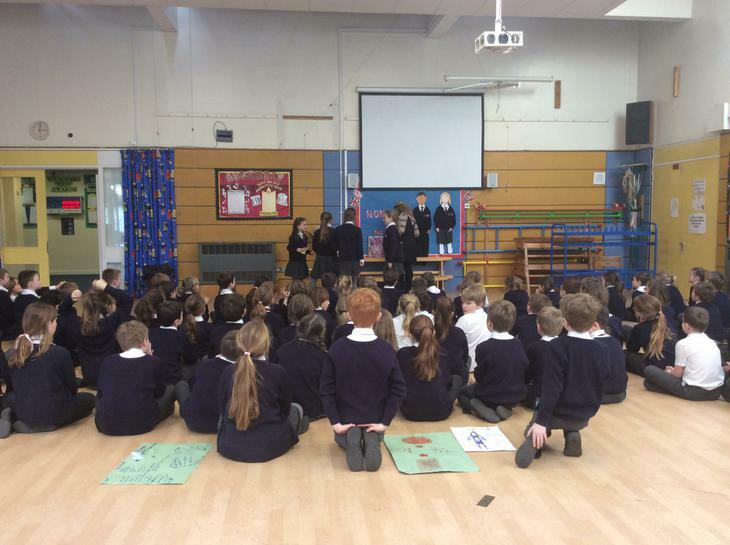 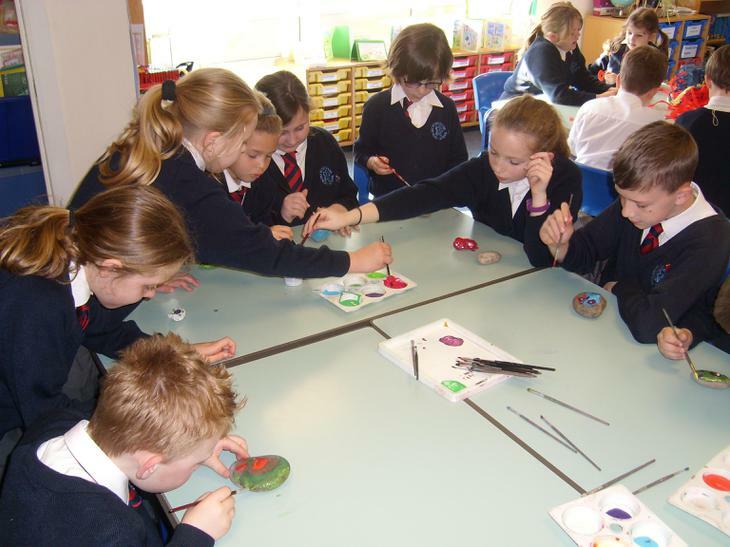 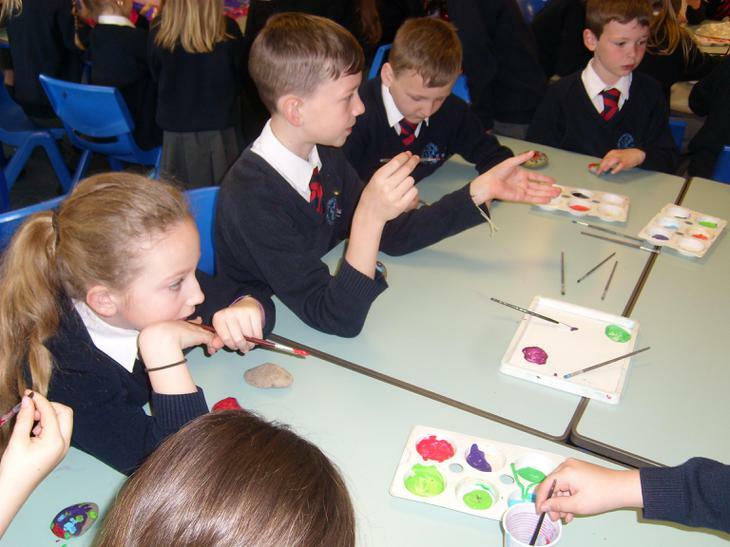 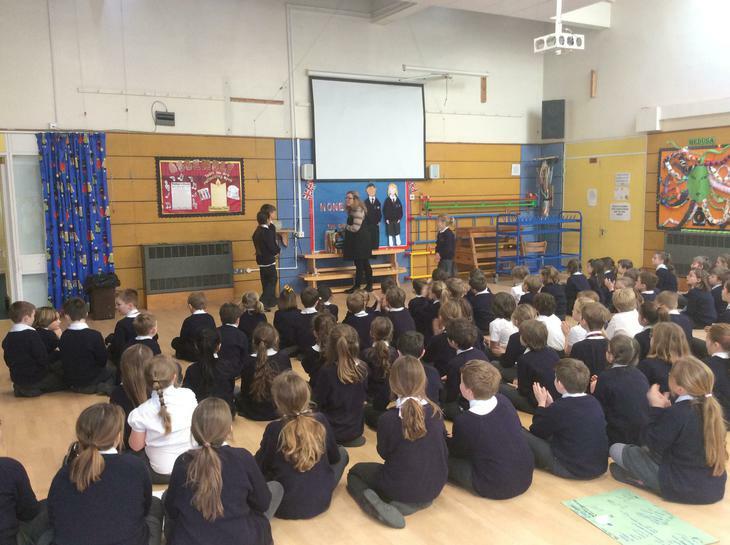 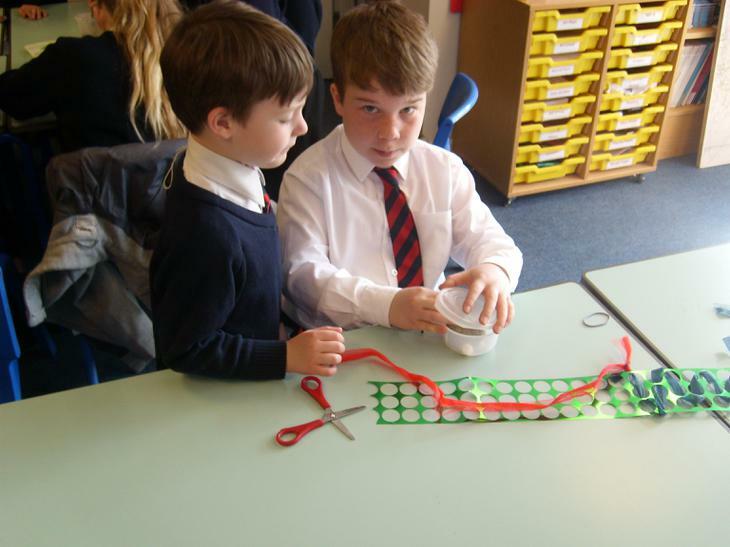 In our Science week, we had the opportunity to work in our crewes across years 3,4 and 5. 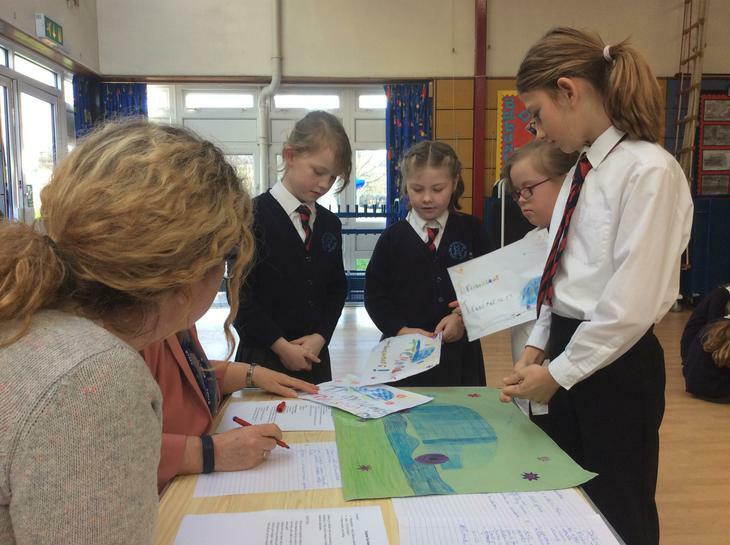 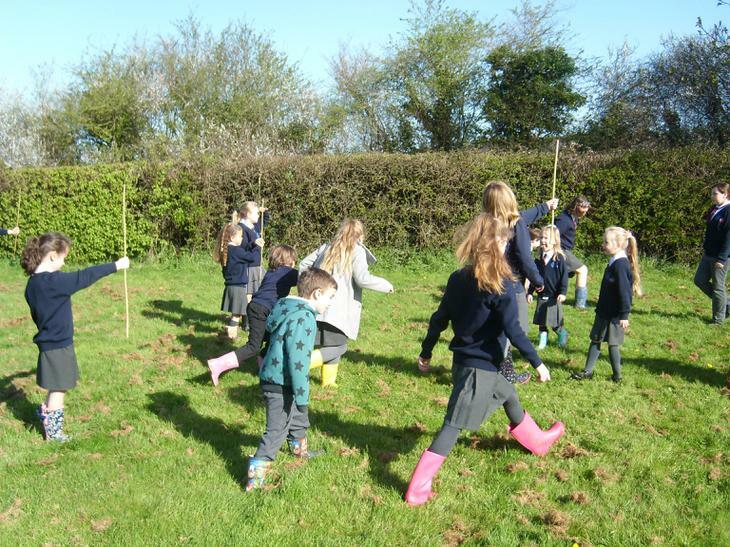 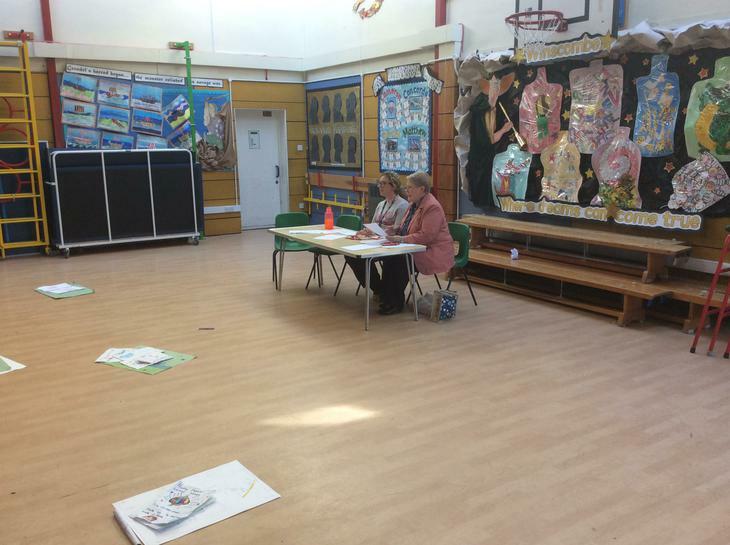 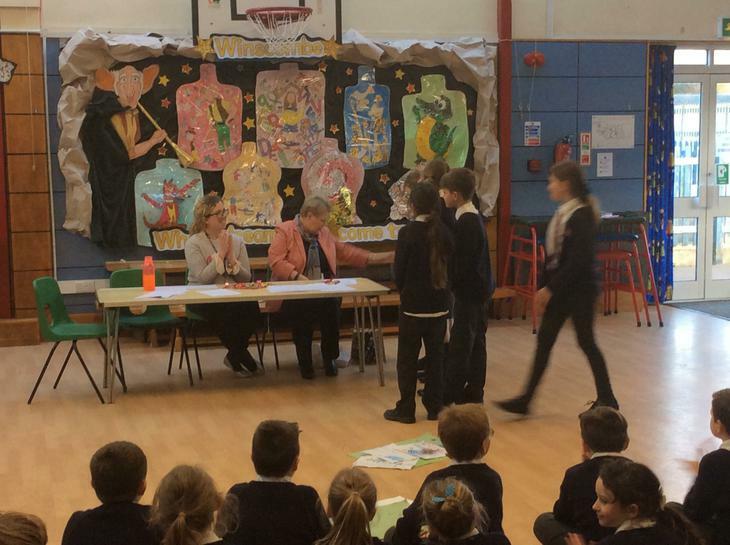 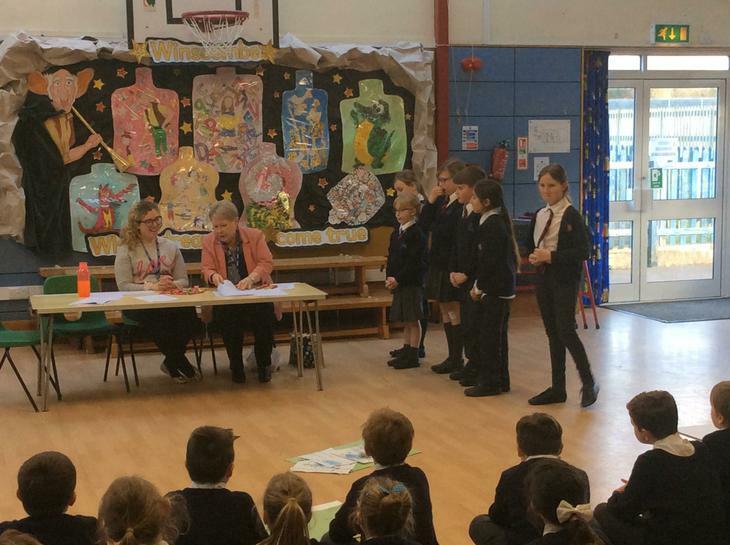 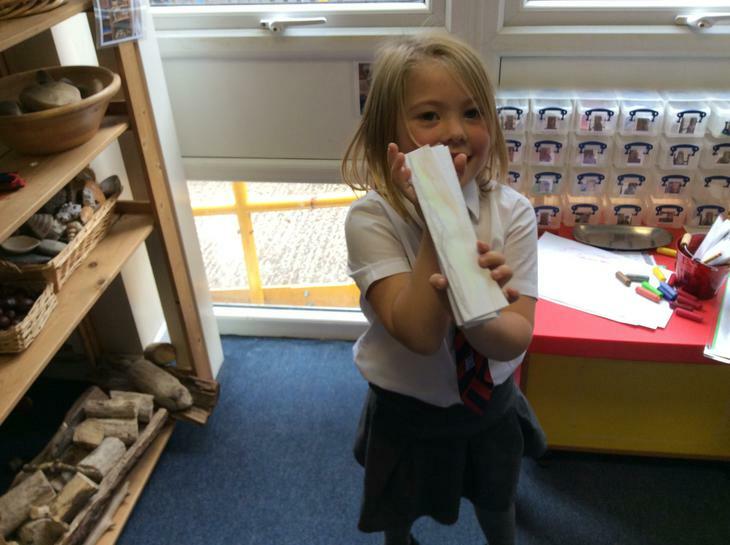 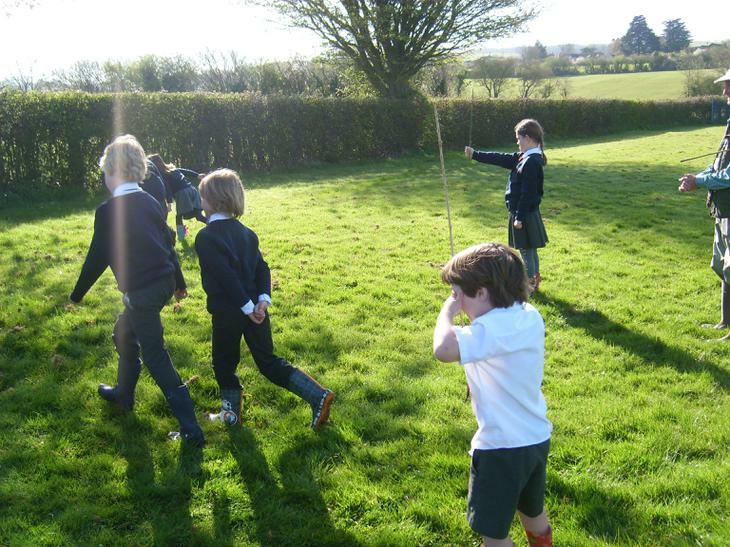 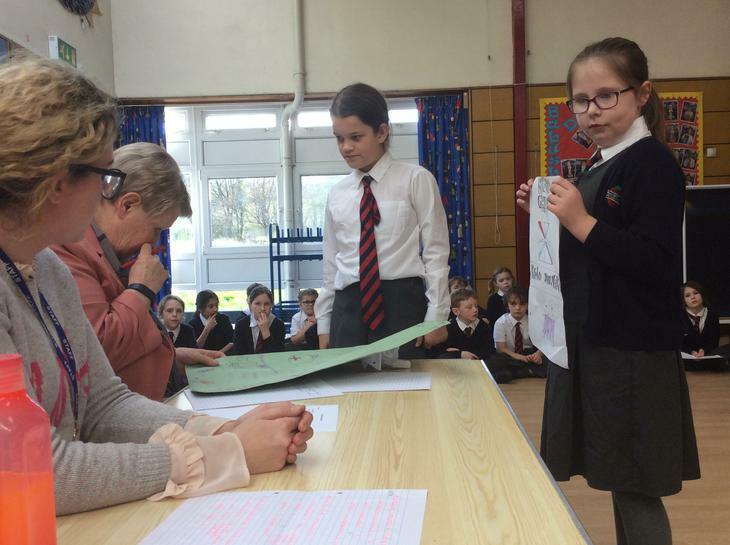 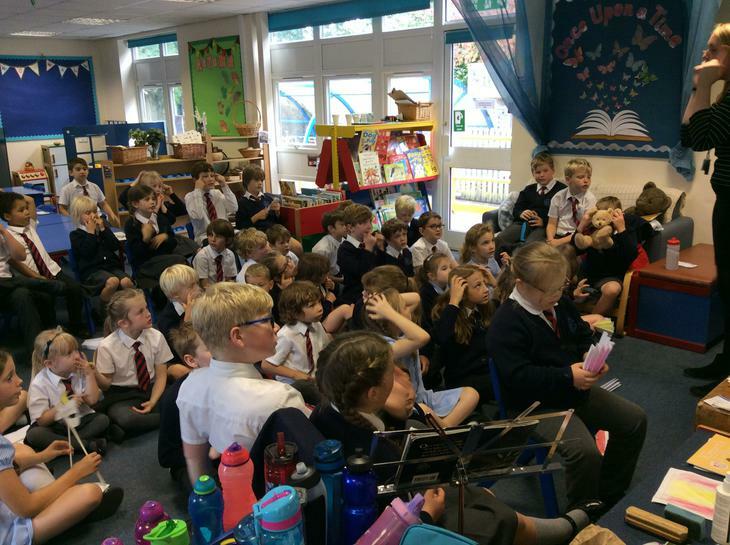 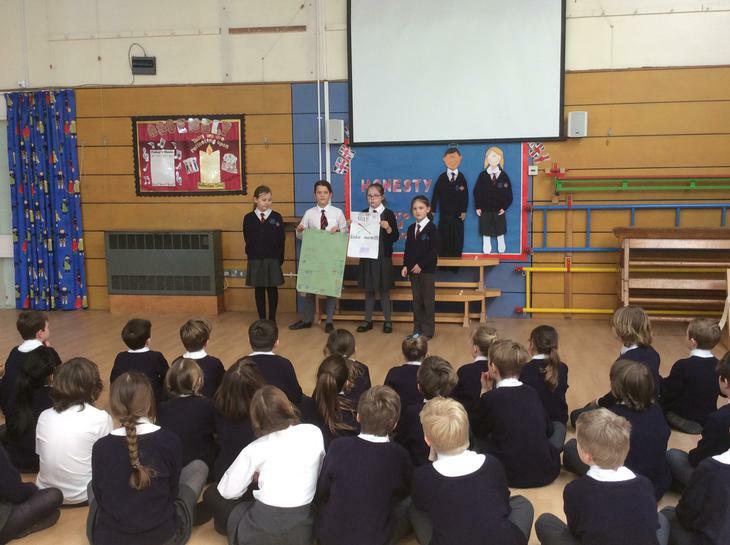 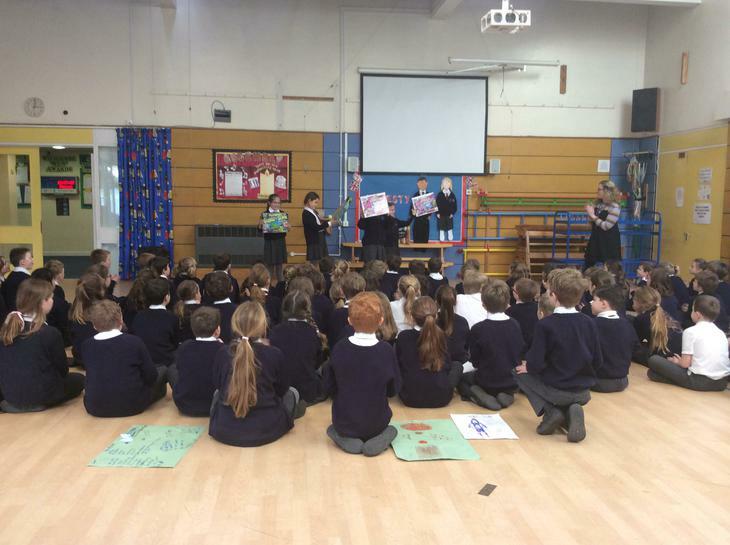 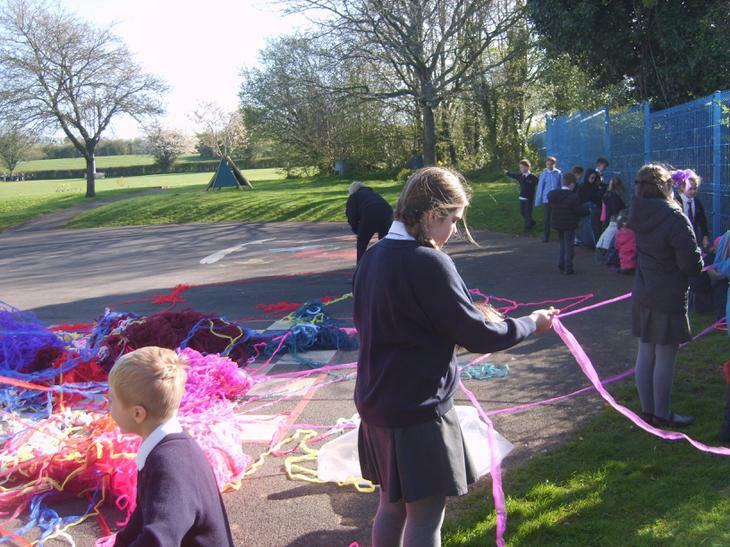 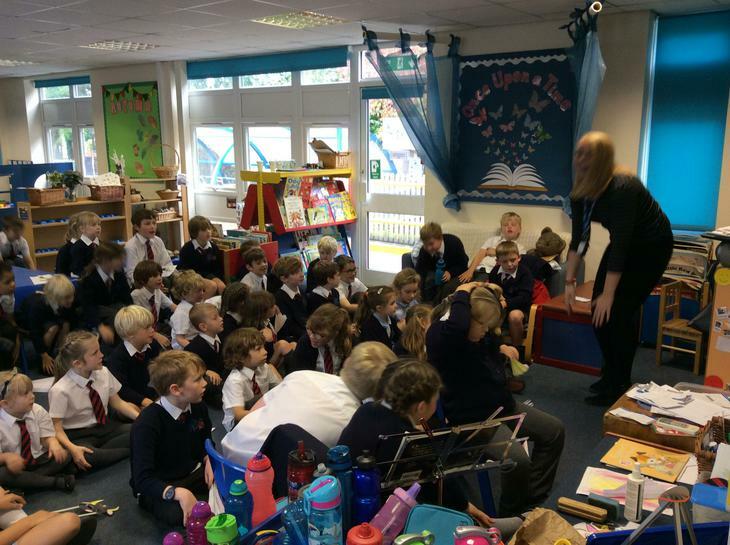 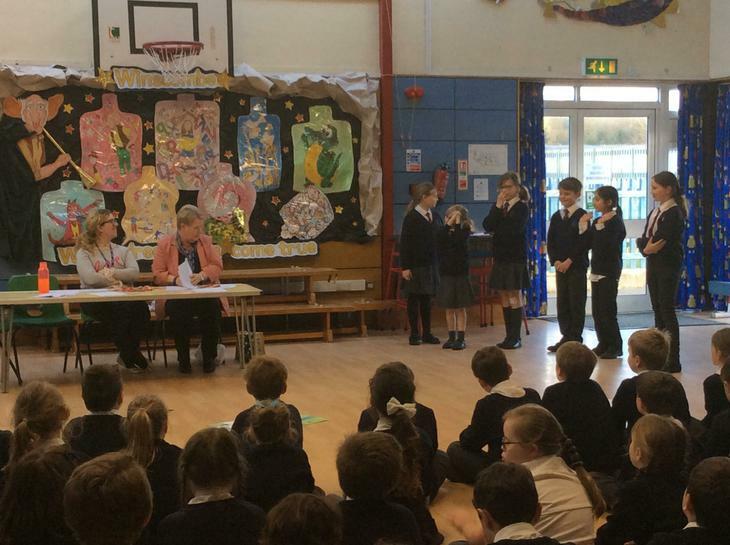 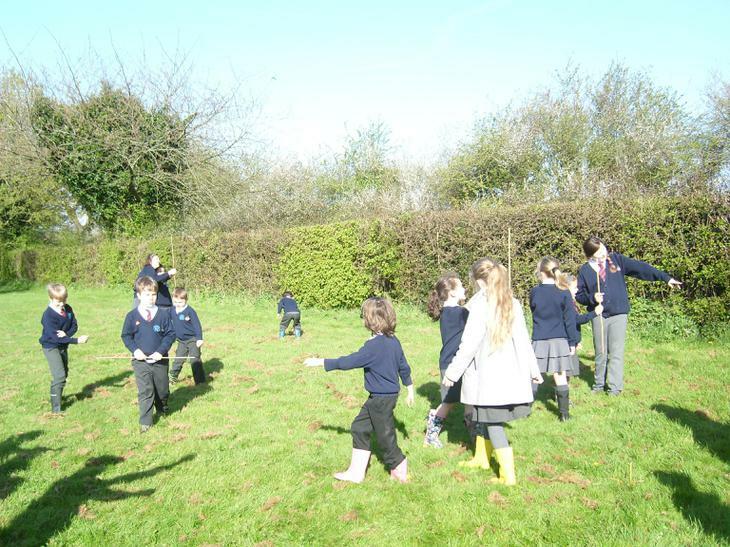 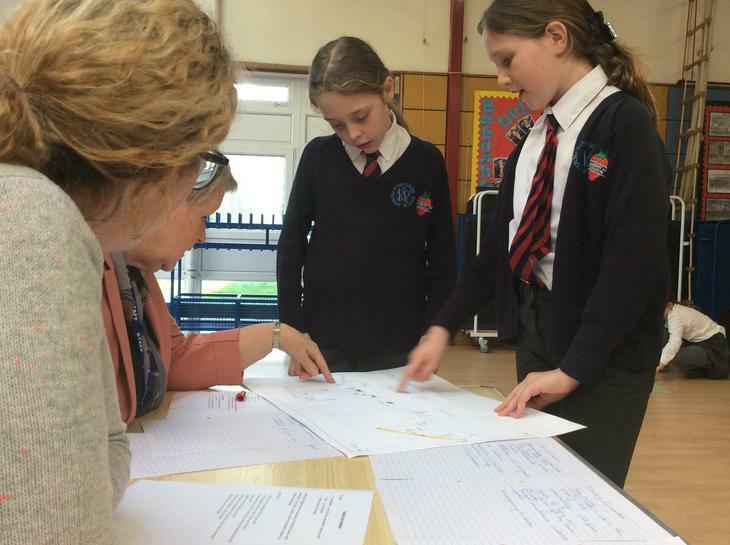 The children participated in a Dragon's Den activity where the children had to design a mode of transport that travelled to an unknown destination. 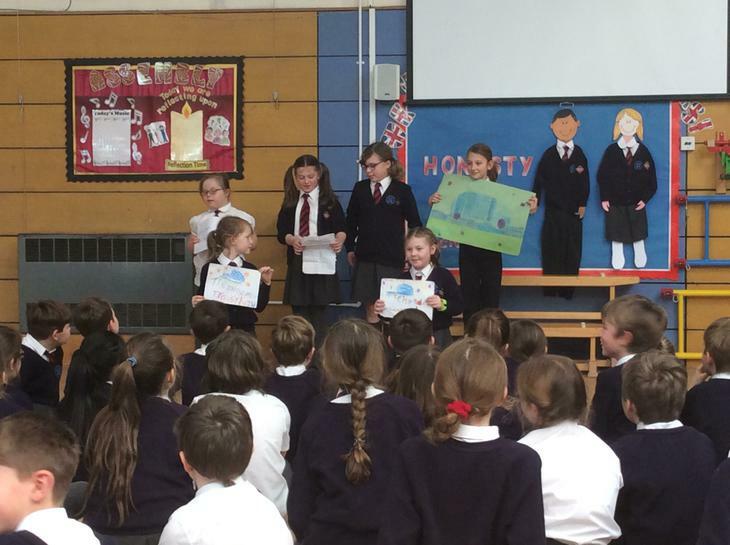 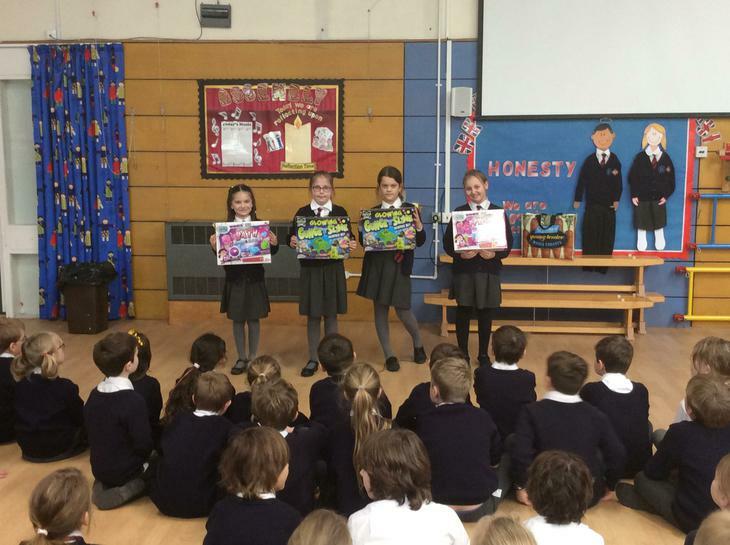 The top two from each class presented to Mrs Williams in the afternoon! 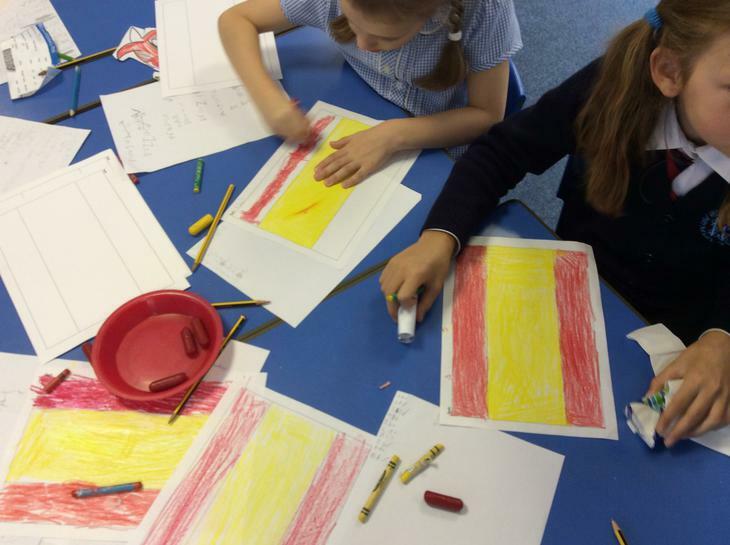 We had a Crew day celebrating National European Language day. 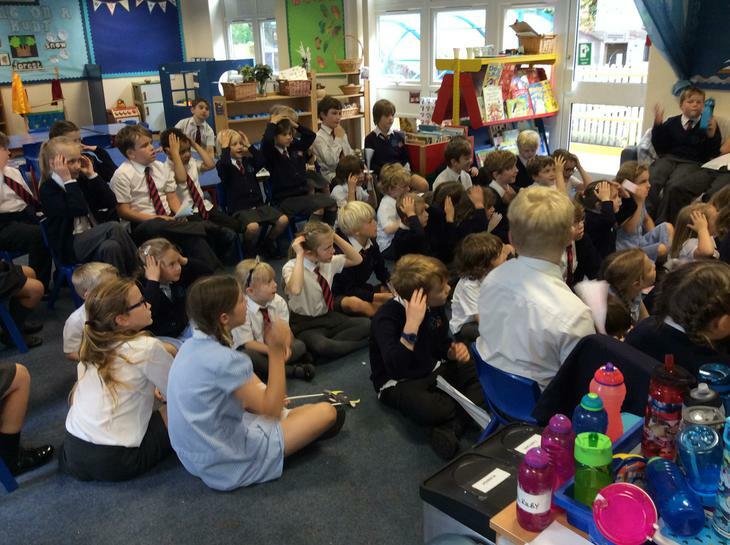 Crew Matthew learnt 'Heads, shoulders, knees and toes' in Spanish. 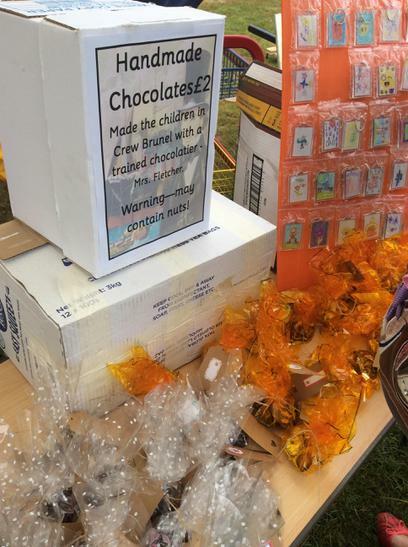 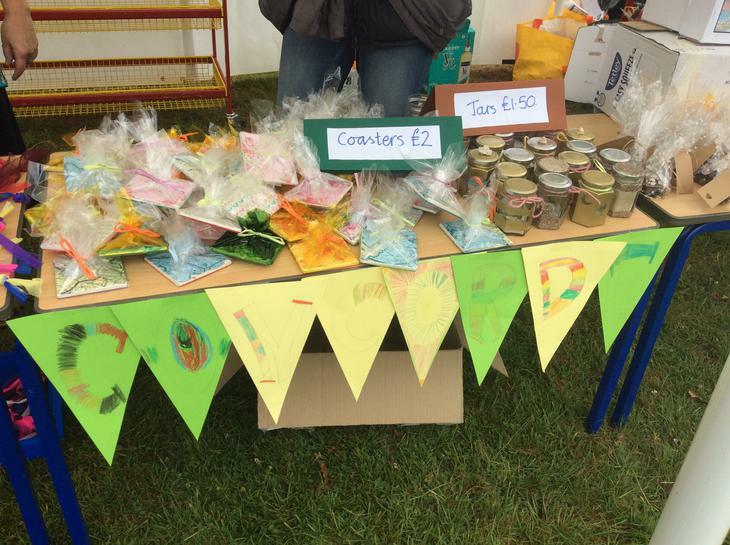 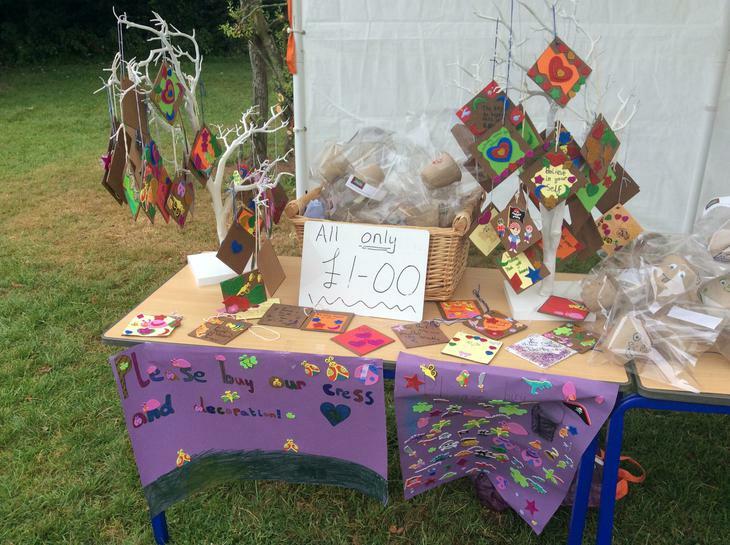 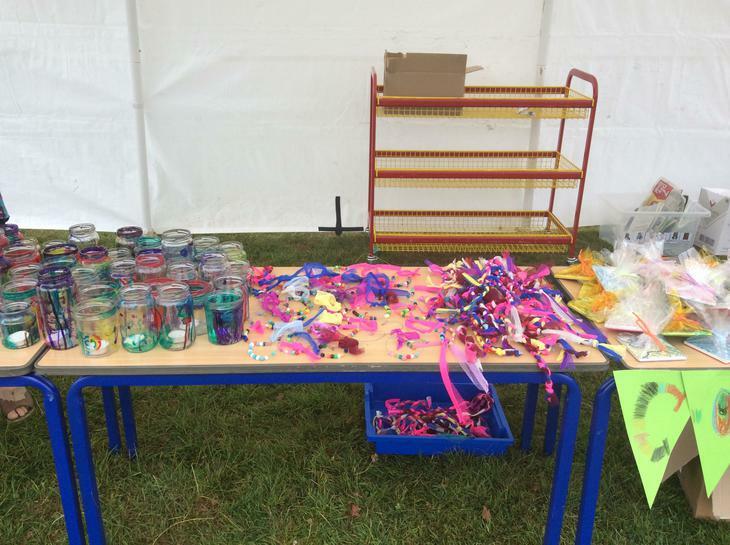 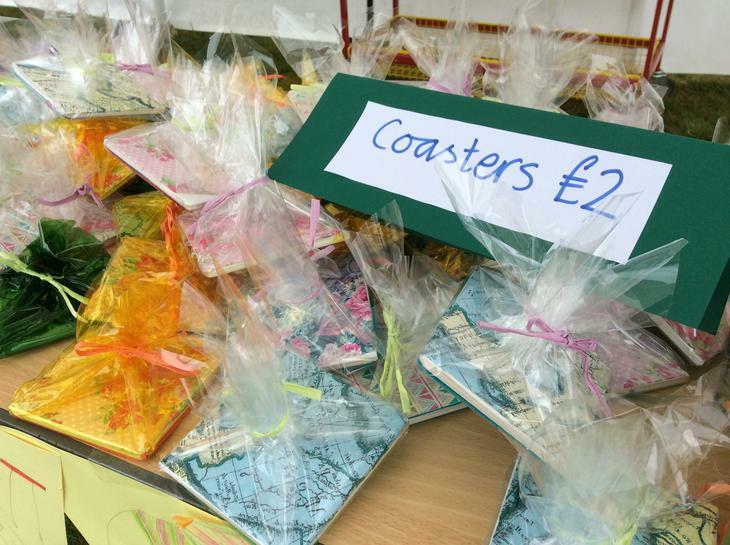 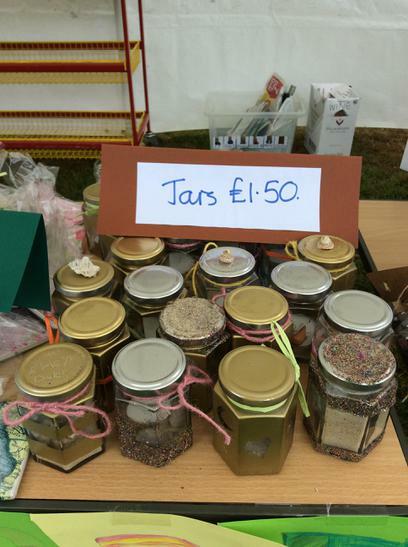 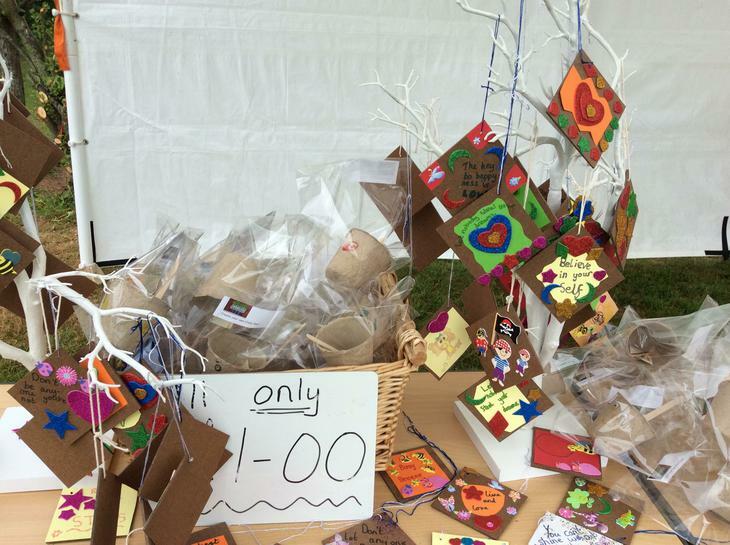 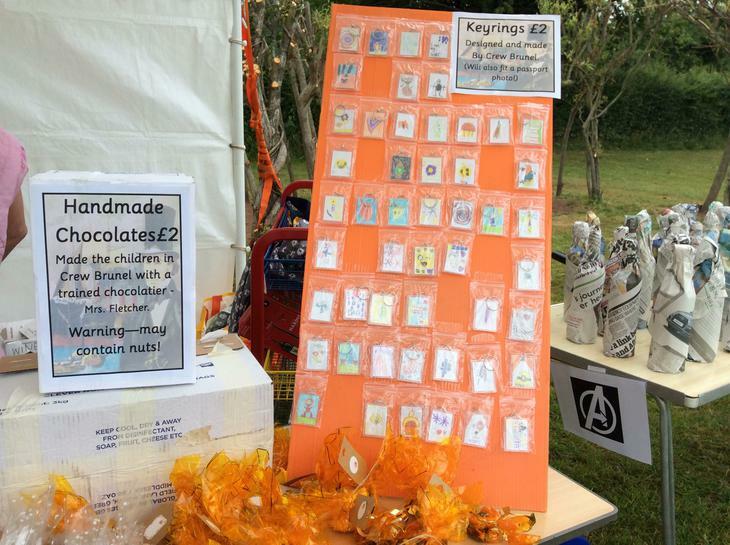 Each crew made craft items to sell at the Summer fete. 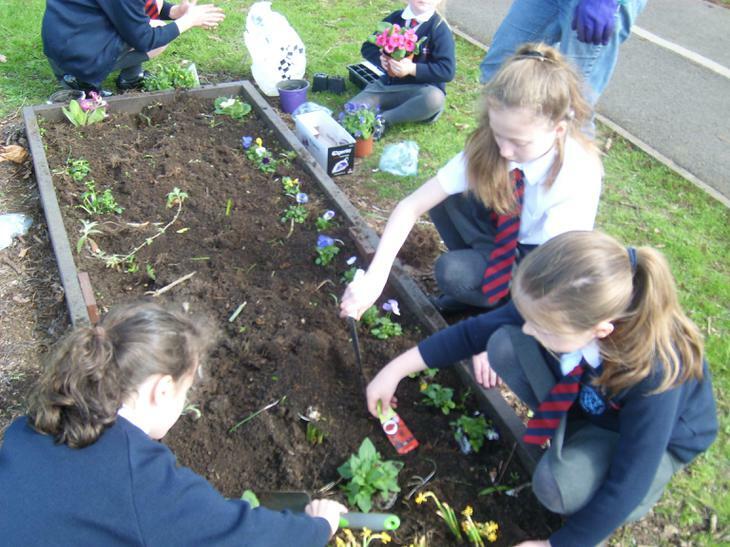 On Thursday 4th April we worked with our crews to improve the school environment. 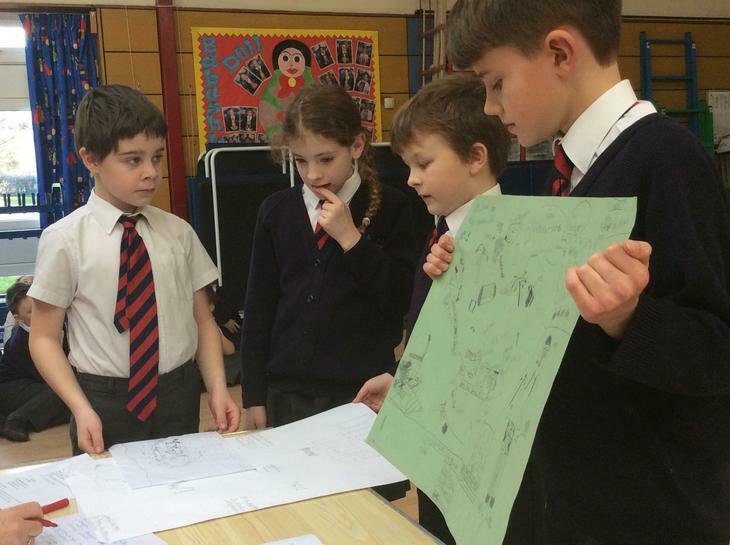 Each crew had met previously to decide how they would like to improve the area they were assigned. 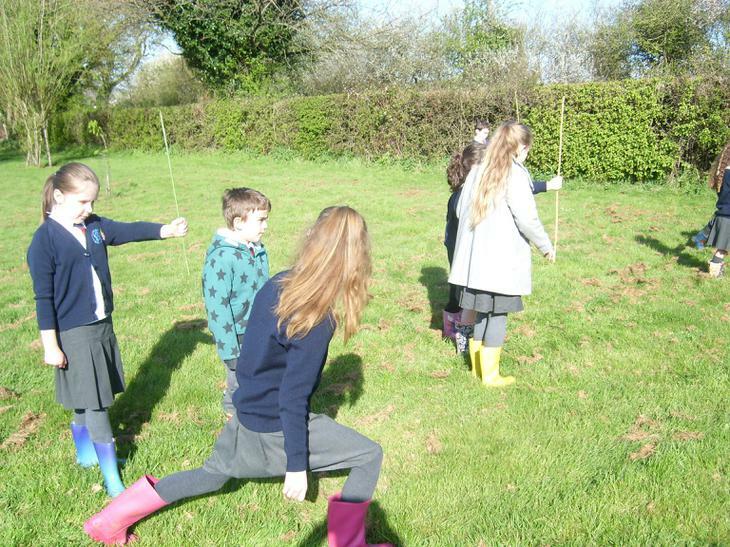 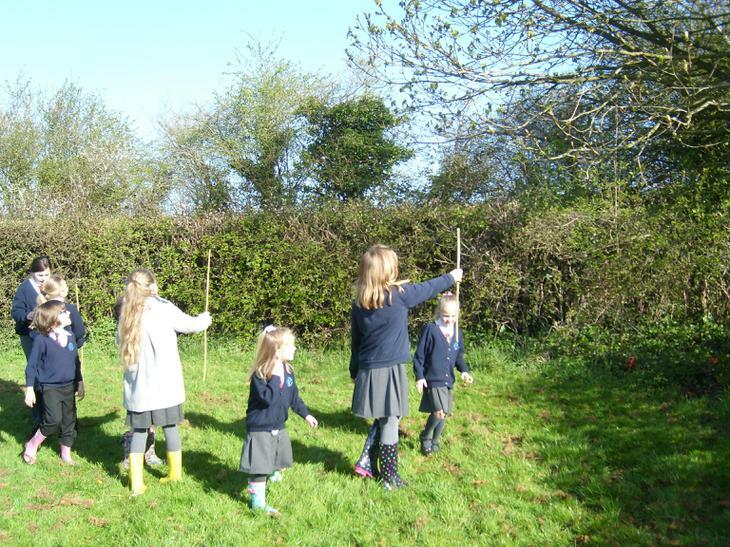 Each crew also spent part of the morning working with members of the tree society to find our about the different trees in the school environment. 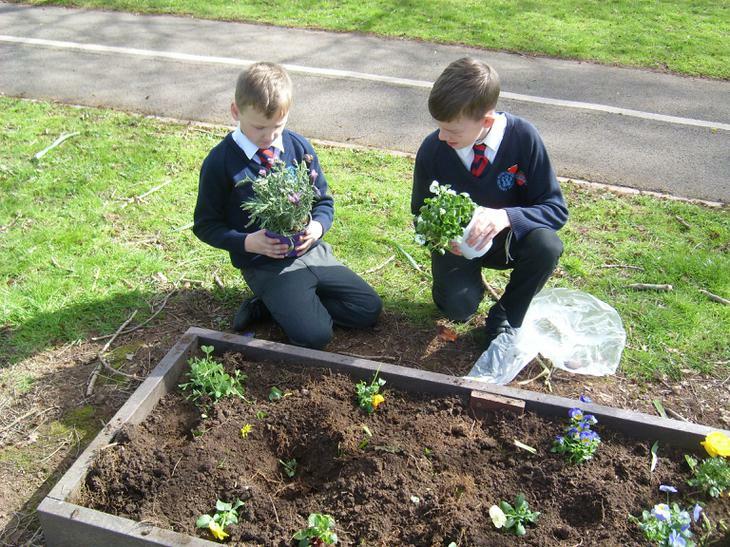 Crew Cameron were working on the area from Wells Close to the Year 6 classroom. 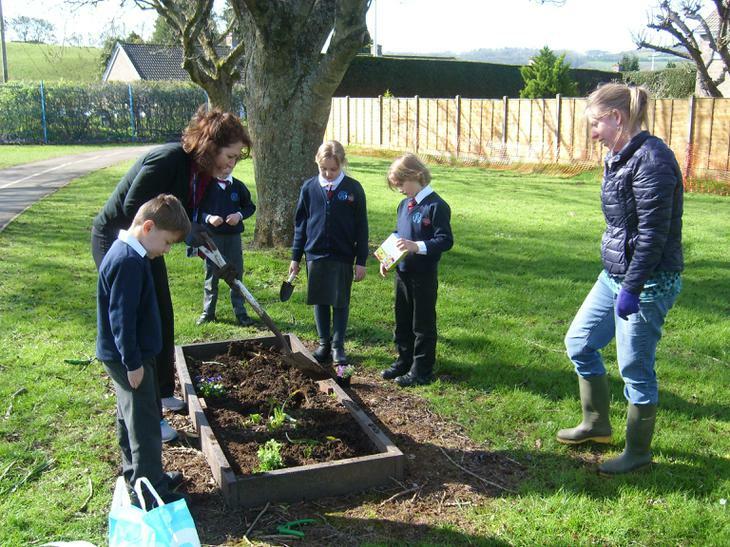 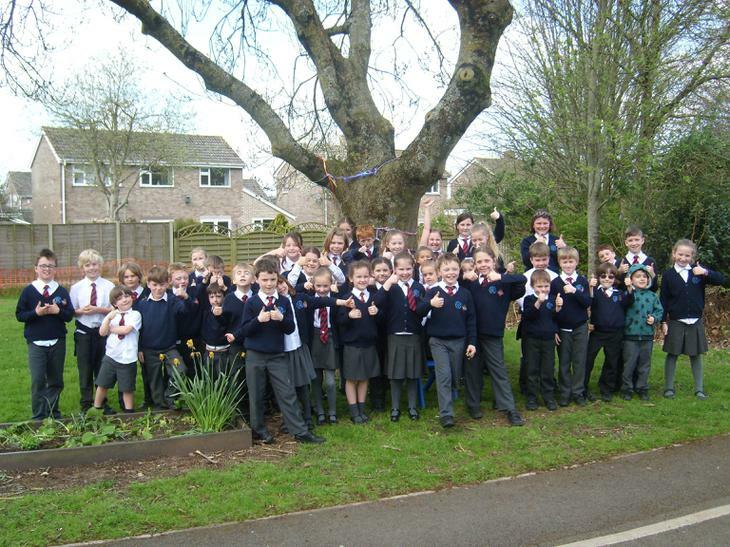 They decided that they would like to improve the area by adding more plants to the raised beds, painting pebbles and decorating the tree with materials. 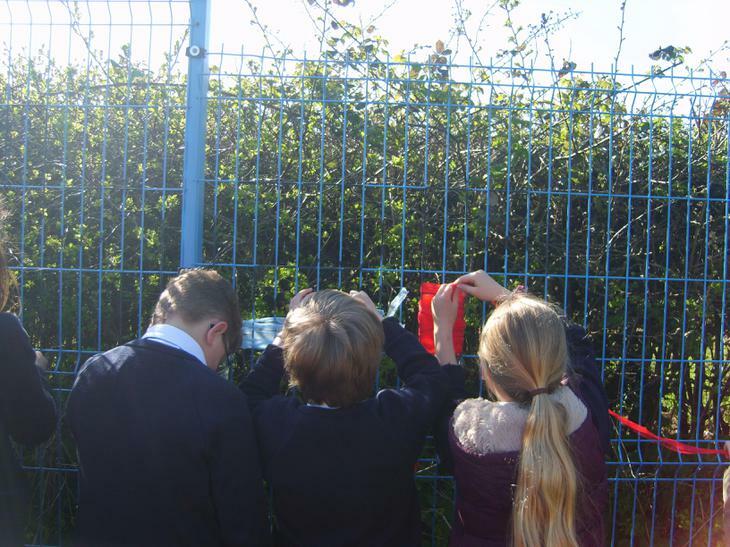 Crew Brunel met with Miss Willows to discuss improving the look of the blue fence in the KS2 playground. 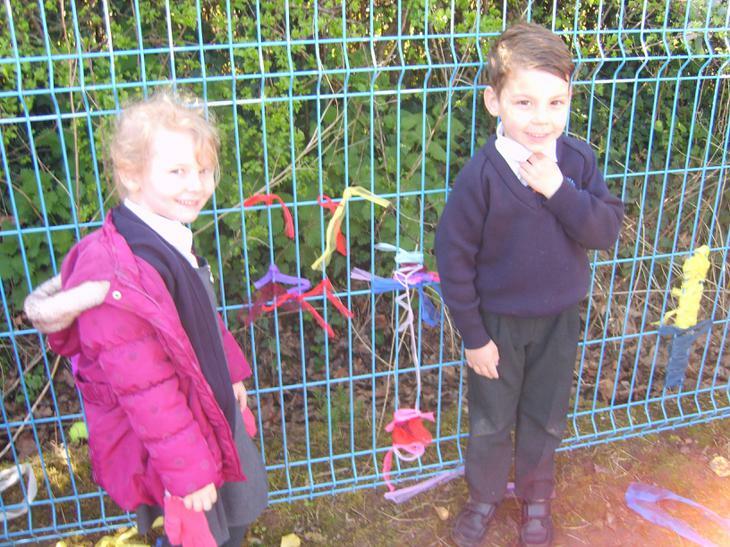 William (Y3) suggested weaving the school motto ‘Learning and Growing Together’ on the fence and there then followed lots of discussion as to what we could weave around the letters. 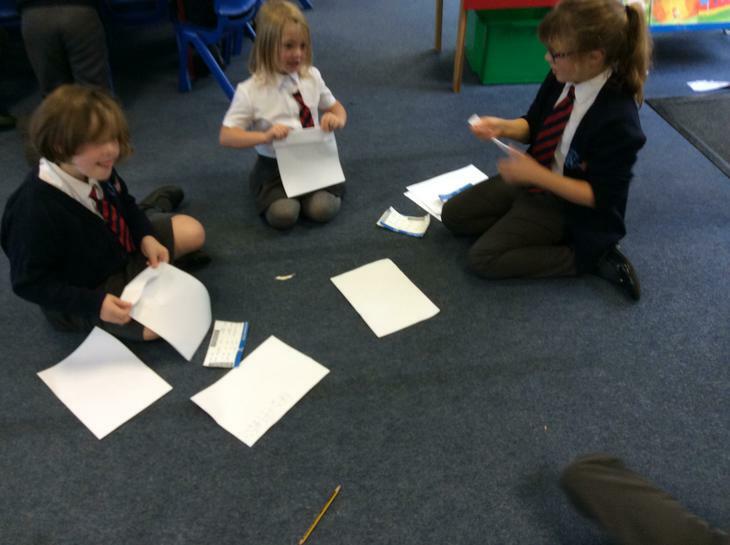 We then got to work designing our ideas on grid paper. 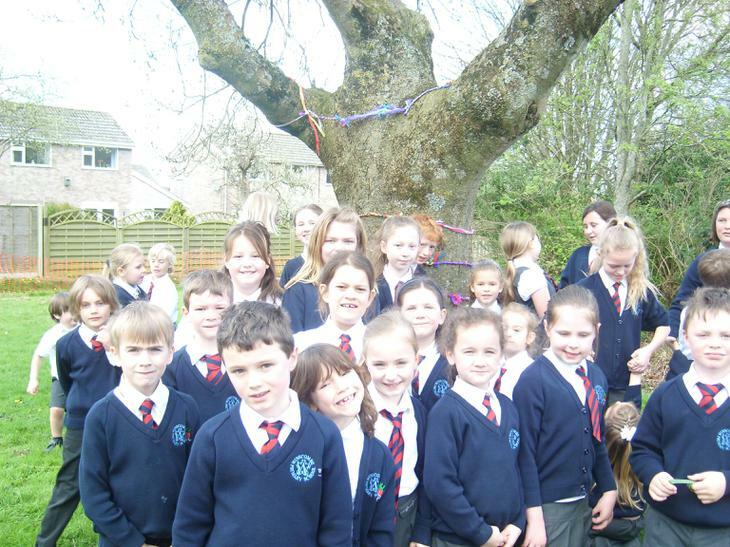 We had lots of flower and tree designs as well as strawberries to represent our strawberry line federation. 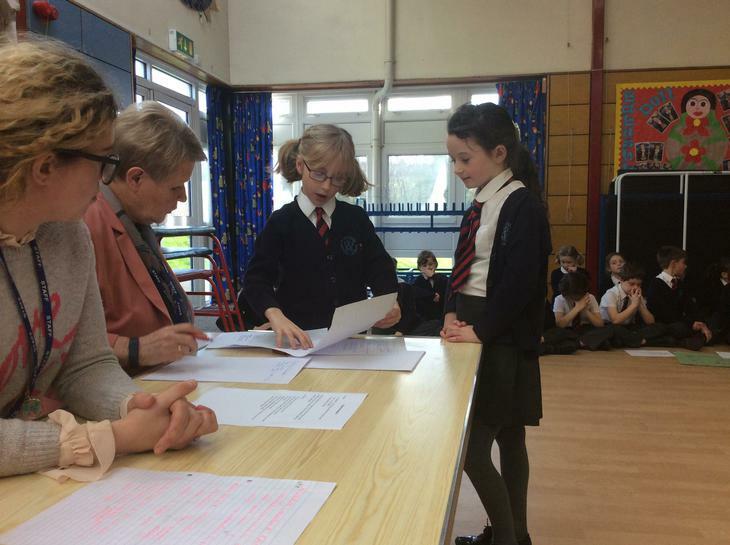 It was agreed that our Crew Captains would be Mair (Y6) and Tabitha (Y6) who both gave powerful speeches about their ability to lead the crew. 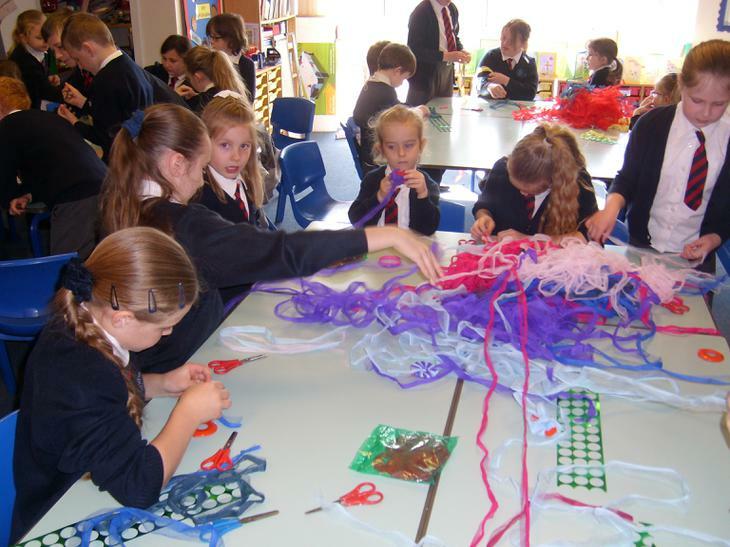 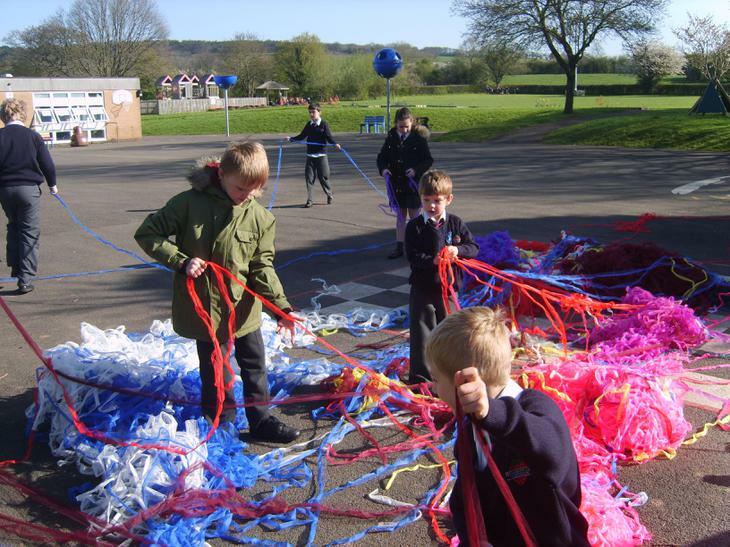 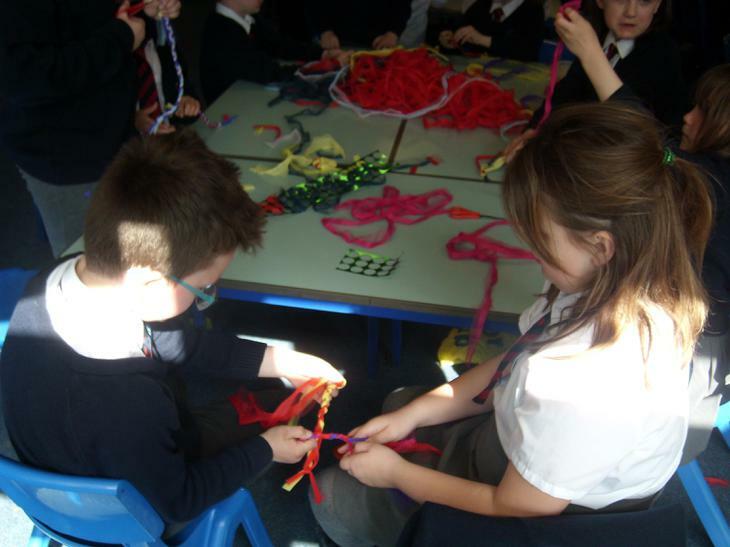 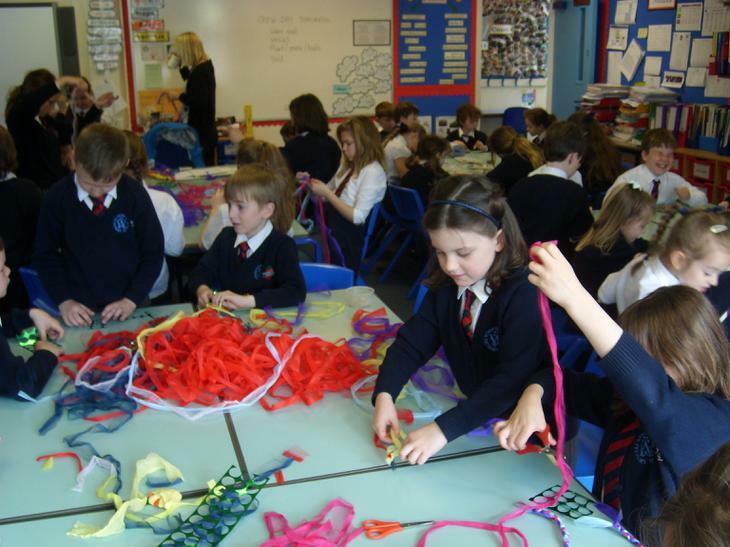 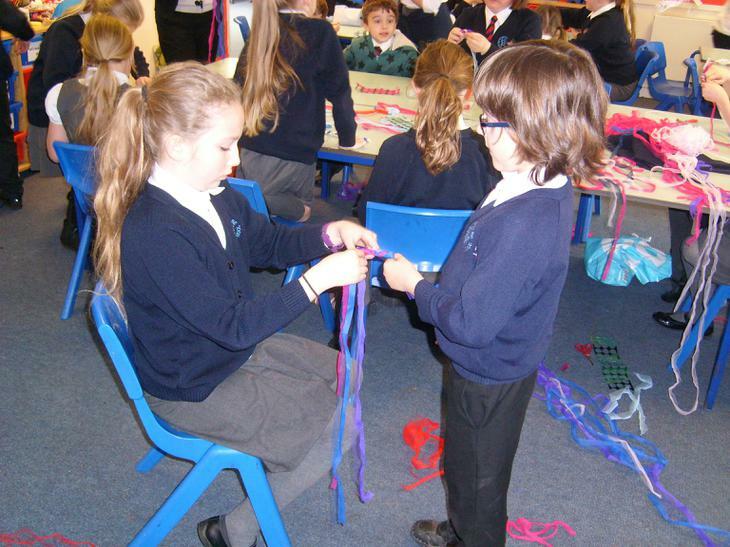 On our Crew Day we worked hard to weave our designs. 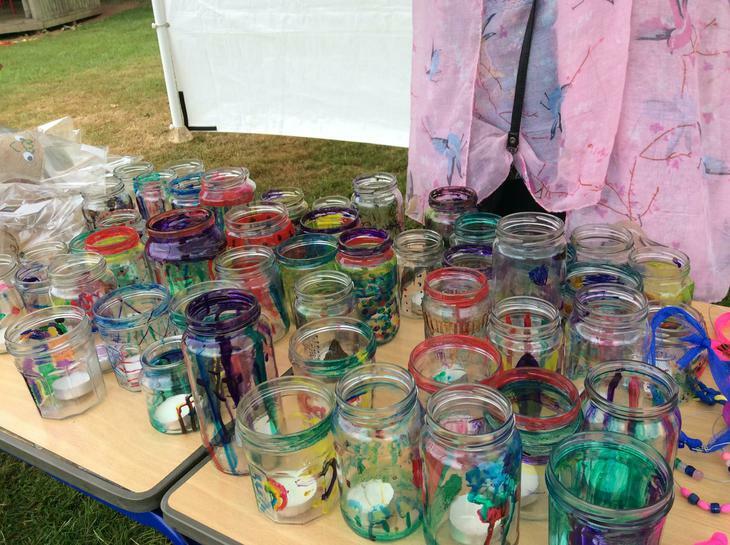 The lettering took longer than expected and is still a work in progress. 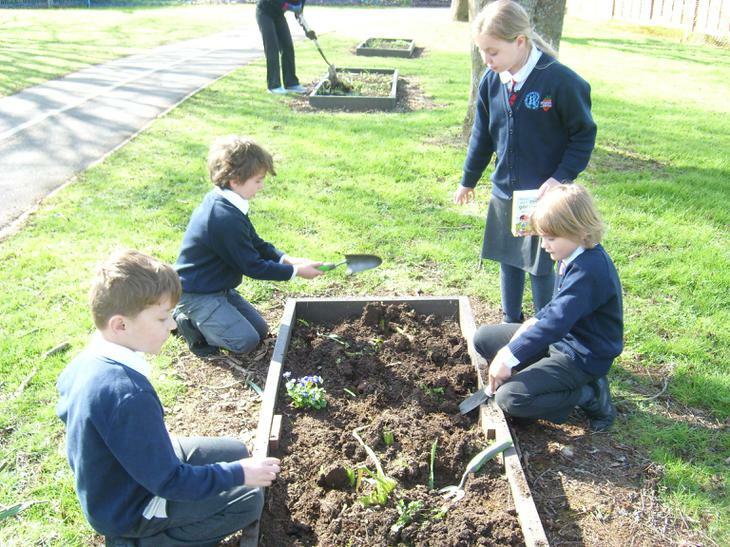 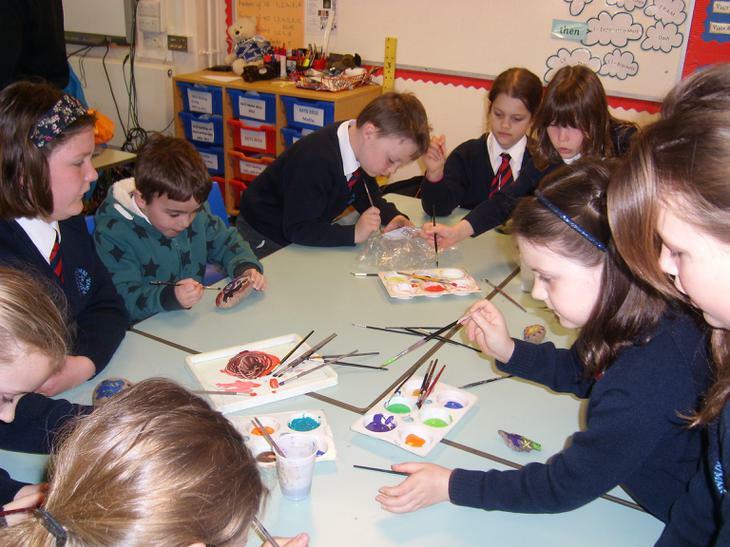 Take a look at us working hard to improve our school environment.